Lucile Willmann Hassinger obituary. Carnes Funeral Home. 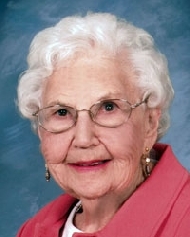 Lucile Willmann Hassinger, of Houston Texas passed away August 5th, 2015 at the age of 95. Lucile, daughter of Willie and Nathalia Mertz Willmann, passed at her home in Eagle’s Trace retirement community. Lucile is survived by her daughters Janice Hassinger and Vickie Hassinger Tucker, son Larry Hassinger and daughter-in-law Jonie Hassinger, four grandchildren and four great grandchildren. She is preceded in death by her husband of 57 years, Arvid Kenneth Hassinger and her son, David Hassinger. She will be laid to rest next to her husband in the Houston National Cemetery. Lucile was born in Seguin, Texas on July 8, 1920. She graduated from Seguin High School at the age of 16 and was salutatorian of the class of 1937. After attending Texas Lutheran College in Seguin for one year, she worked as a secretary in Seguin, Houston and Randolph Field. When Arvid returned from serving in the US Army in England, France and Japan during WWII, Lucile and Arvid were married on January 1, 1946. Lucile and Arvid lived in Port Arthur, Texas for over 50 years. Lucile was active in the Methodist church, Camp Fire, Scouting, PTA and many of her children’s clubs and other school activities. She enjoyed sewing, knitting and volunteering for several civic organizations. They moved to Houston in 2000 so they could be closer to her children, grandchildren and great grandchildren. Lucile was well loved and will be greatly missed by her family and friends but we know she is at peace and at home in heaven with Arvid.